We packed grapes and blueberries, a clementine and waffles with syrup. Today they also brought Orange juice to drink and a yogurt for lunch to complete the breakfast for lunch. Very simple but perfect for a Friday Lunch! 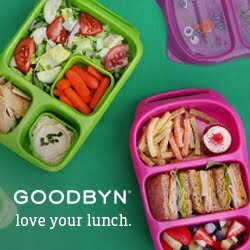 Lunch is packed in our favorite Easylunchboxes with an Easylunchboxes Mini Dipper to hold the syrup and we also added a fun Lunchbox Love Note to make their day brighter. Yummy!!! I love belgian waffles! Following from the Elf on the shelf link party. Thanks for hosting it. If you get time I would love it if you would stop by and check out the Nifty Thrifty Family. Love it! 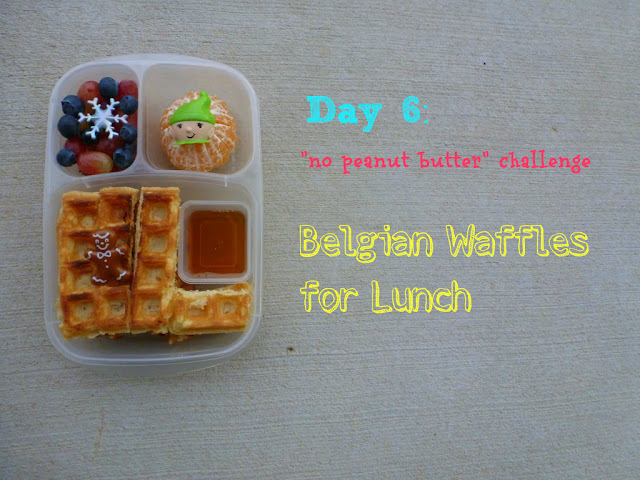 Thanks for linking up to Bento Blog Network!